More Simon Says Stamp #stamptember fun. 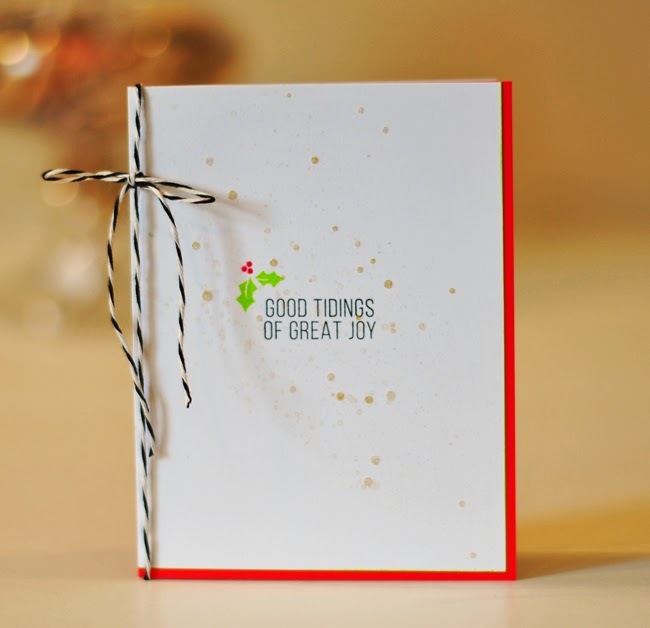 The red card is festive -- black and white twine and some gold spatters add to the pop of color. Hard to see, but the right and bottom edge of the white panel has a bit of the Hero Arts Neon green ink that I used to stamp the leaves. The pink is nontraditional for Christmas, but close enough to red to be "in the zone." Again, the right and bottom edges are inked with a dark green ink. Both cards use a holly and berry images from a Clear and Simple set and a sentiment from Simon Says Stamp Peace on Earth, which I believe will be sold starting in September. Color makes such a difference! I like them both, although they evoke very different feelings. I like both, too, but the soft pink one really is speaking to me. Mike just read your comment and says he votes for the red! He loves bright. I think I'm with Mike - I love red on a Christmas card - I may case this for my Church Christmas card project! I love the pink one! Hope you get inspired to use the kit and also join CASology!!! I do not have the July kit, but love it!! WOW! You have been on a creative roll!! GREAT cards and an excellent showcase of how to use the sets a bit differently! ACK! I can't pick a favorite. 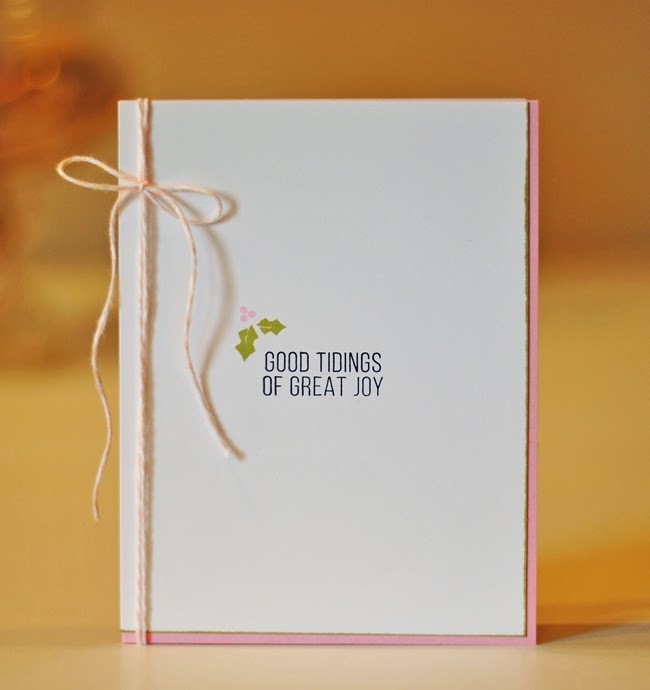 Love the gold spattered one and love the untraditional pink one. Dang, love both of these. The pink is indisputably Christmas. Depends on my mood which I would like best, but thank goodness I don't have to choose. Wonderful simplicity! You're so good at that!